are ensured reasonable accommodations by their employers by Title I of the Americans with Disabilities Act? 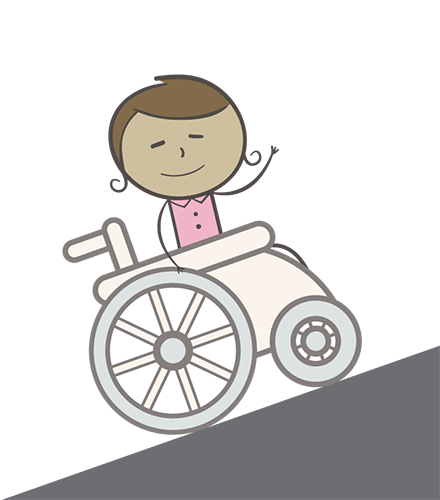 Making existing facilities accessible, such as building a ramp or widening a doorway. Allowing for flexible work schedules, such as part-time or modified hours. Adjusting or modifying tests, training materials or policies. Providing readers and interpreters. Acquiring or modifying equipment. Reassigning an individual to a vacant position for which the employee is qualified. can vary from employer to employer and individual to individual. Service providers – many ENs and VRs offer assistance in discussing and arranging job accommodations with an employer. support and protections offered by the Americans with Disabilities Act. Click the right arrow to continue.